Man, a guy fulfills his lifelong dream of going into space and suddenly has more important things to do than work on his video game? 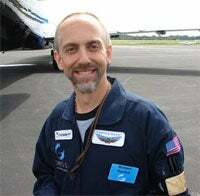 Richard "Lord British" Garriott announced today that he will be leaving NCsoft, the company behind his recent MMORPG Tabula Rasa, to pursue other interests. I am very grateful to you loyal players for sticking around through what I think we can all honestly say was a rough launch. I thank the development team for pushing hard to get polish, updates and new content out every month since launch...a feat that I think is unusual in MMO development. They have a lot to be proud of. Many of you probably wonder what my plans are, now that I have achieved the lifelong dream of going to space. Well, that unforgettable experience has sparked some new interests that I would like to devote my time and resources to. As such, I am leaving NCsoft to pursue those interests.